It mainly depends on your video card, but generally modification doesn't hit performance too much. Modification requires minimum a 2GB VRAM for smooth gameplay. For best results 3GB is recommended. Possible decrease in fps are 0-5 which depend on pc spec, game settings and ingame location. On GTX 970/AMD R9 290X and higher there should be no fps drop. Also in some cases, modification can give smoother gameplay. 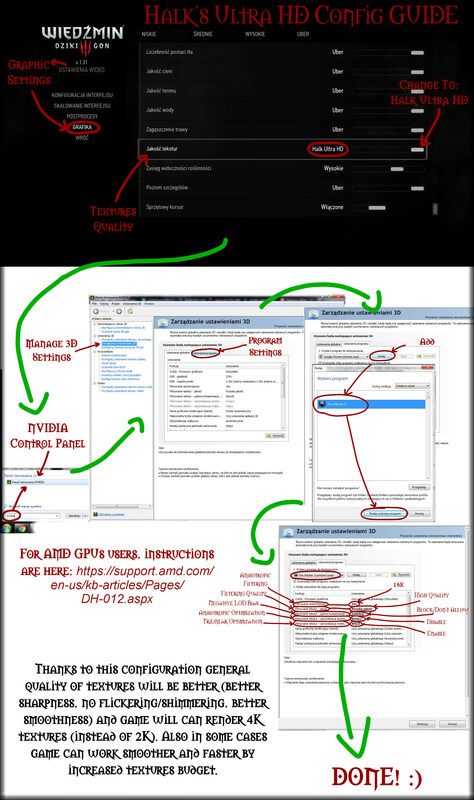 * Halk's Ultra HD Config: (GUIDE: Click Here!) Highly recommended to achieve best quality and game look. Thanks to this configuration general quality of textures will be better (better sharpness, no flickering/shimmering, better smoothness) and game will can render 4K textures (instead of 2K). Also in some cases game can work smoother and faster by increased textures budget. Note: If you have ##preset_value_Halk Ultra HD instead of Halk Ultra HD in graphic settings - install Custom Localization Fix (It's not an important matter, but if it bothers you, it's easy to fix it). * Priority settings for HDRP: Choose it, if you have several textures mods. 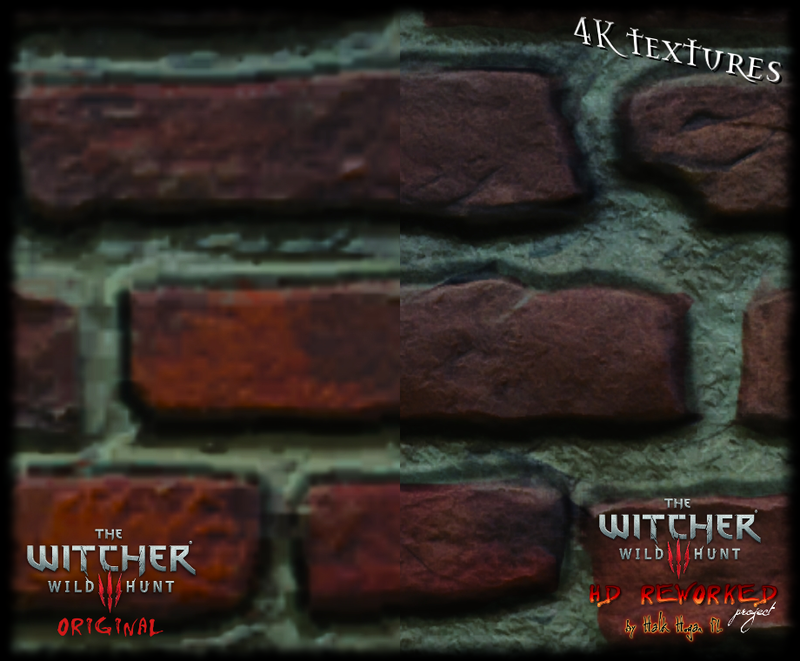 This mod requires the highest priority among textures/meshes mods, this will avoid of any errors and glitches. So if you are using other texture/meshes mods, you must choose this option. Just use uninstaller which is located in your Witcher 3 Main Folder or in Control Panel (Program Uninstall). 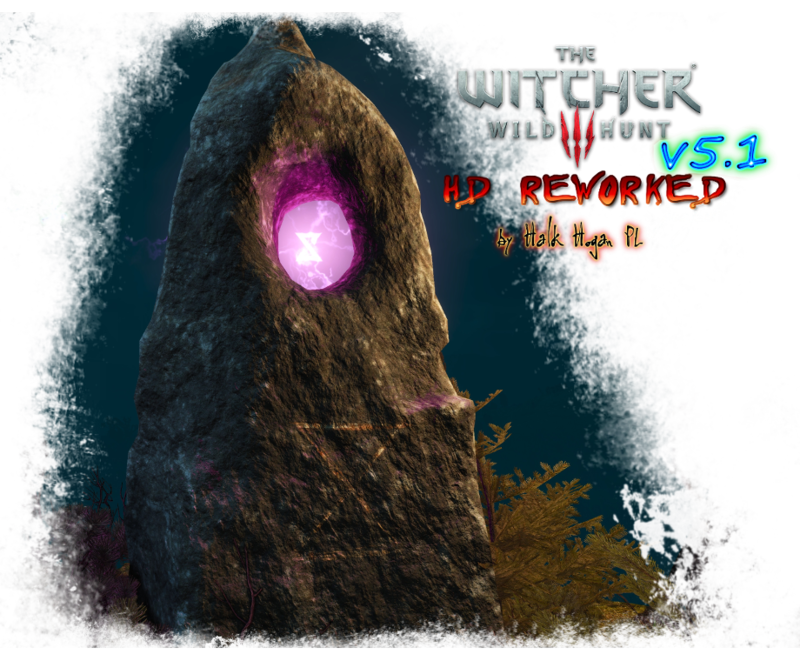 If you installed HDRP manually, to uninstall go to your Witcher 3 Main Folder/mods and delete folder "modHDReworkedProject" and optionally (if you installed Halk's Ultra HD Config) restore original game config from your Witcher 3 Main Folder/Config backup. Modification is compatible with all lighting mods (STLM, WLM and other). 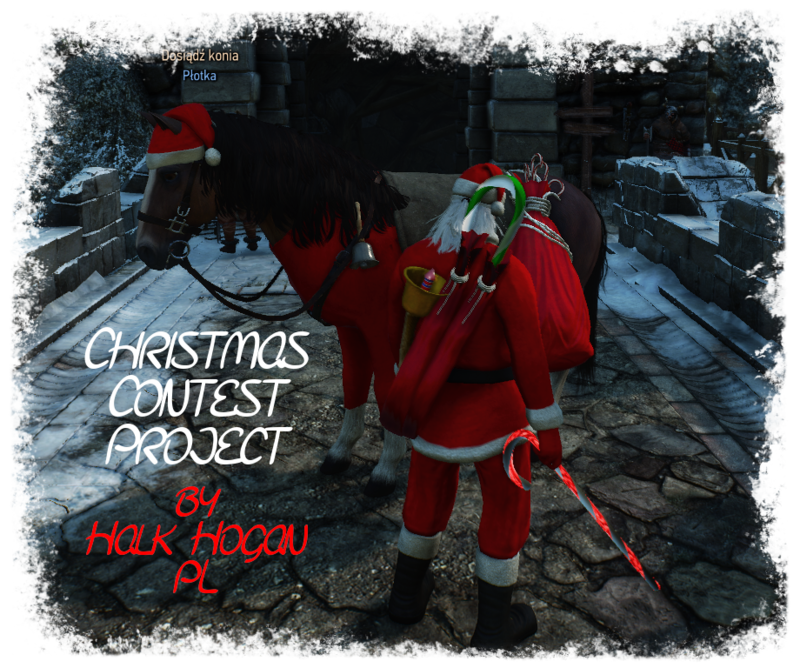 For newest info about mod - check comments section and visit CDProject forum thread: Here! Also Thanks to NVIDIA and their amazing GEFORCE GTX for motivation to work! This project aims to improve the graphics by reworking models and textures to better quality. This project took me a long time of hard work, so please respect this and don't edit anything without my permission. Thanks. Was this modification reduces performance? It depends on your video card and its VRAM, but generally modification doesn't reduce performance. On my Radeon HD7970 3GB I have not noticed any decrease fps and stutters. Download archive and extract "modHDReworkedProject" folder to "(You Witcher 3 game folder)/mods" -if the "mods" folder doesn't exist - create it. Delete folder "modHDReworkedProject" from "mods" folder in you game location. Feel free to comment, express you opinions and suggestions, sharing screenshots and videos. my god, you're awesome sir ! Great, thanks for the upload mate!! One question, what about the bricks of the buildings you had showed us? Why aren't those in the package? Not finished yet? Thanks for the release. I use a lot of your mods for Skyrim. It's too bad you're leaving W3 for Fallout but I guess that's inevitable. Perfect, I am not sure if this is compatible with lod mod, maybe not? As promised, I released this. No problem, yes bricks are unfinished. I plan to still improved and finish those bricks and release this in next version but I need a lot of time to do this (I don't know when will be next version because I'm going back to Fallout 4) [unless it will be big interest of this modification then I can take care of this faster]. Thanks for using my Skyrim mods. Fallout 4 need much more graphic improves than The Witcher 3. Really great work. Thank You! Conflicts with the large lod mod but if that mod is named modzzzLod, so this one should take priority over that one right? Yes that's right and both are working fine for me. For me texture not working. You have too many texture mods. Thanks m8 mod works just perfect for me. What is your game version?